Nice image. A zen moment for both bird and you. Thanks – I really should have gotten my real camera. 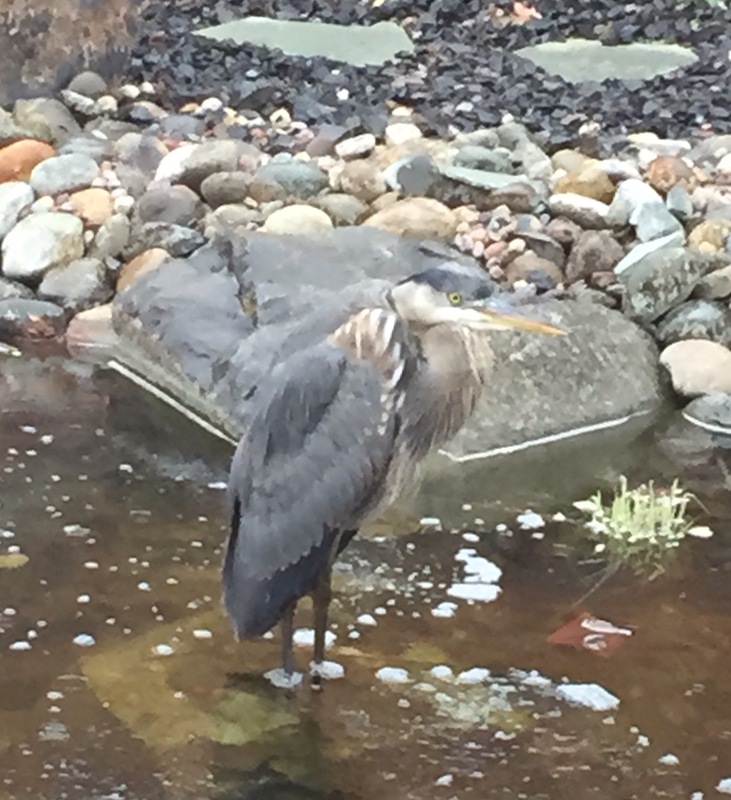 But in any case, I don’t like the herons (from a river less than 1/2 a mile away) treating my yard as the local sushi joint.